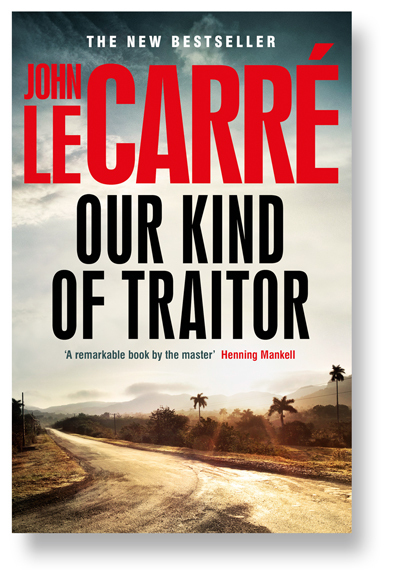 I would like to read Our Kind of Traitor by John Le Carre, which is also being released on film soon. It features a British university lecturer named Peregrine “Perry” Makepiece (Ewan McGregor) and his lawyer girlfriend Gail Perkins (Naoemie Harris) who meet a shady Russian business oligarch and money Launderer named Dmitri “Dima” Vladimirovich Krasnov (Stellan Skarsgård) and his family while on holiday in Antigua. Dima, who describes himself as “the world’s number one money launderer,” has an unusual proposal for Perry. Dima fears for his life because “The Prince”, the new leader of his criminal Mafia, had a friend of Dima’s murdered and now The Prince wants Dima to come to Bern to sign over control of the money-laundering operations to him. So Dima gives Perry incriminating evidence concerning The Prince to give to MI6. The next movie in the saga: Star Wars episode VII The Force Awakens takes place approximately 30 years after the events of Return of the Jedi and is directed by J.J.Abrahams. Carrie Fisher reprises the role of Princess Leia Organa, alongside Mark Hamill and Harrison Ford alongside Daisy Ridley, Adam Driver, John Boyega, Max von Sydow, Oscar Isaac, Andy Serkis and Domhnall Gleeson, with Anthony Daniels, Peter Mayhew, and Kenny Baker reprising roles from previous films.